– The big day was here. 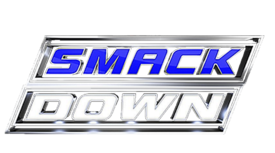 From this point forward, WWE was set to go live on Tuesdays for SmackDown and used the first episode as the platform for the WWE Brand Extension Draft, where Raw Commissioner Stephanie McMahon/General Manager Mick Foley and SmackDown Commissioner Shane McMahon/Mick Foley would make their respective picks. We got some explanation as far as why Raw got three picks for every two SmackDown picks, from it being related to the number of hours of the shows. Okay then. It shouldn’t had been a surprise that Raw’s first pick was Seth Rollins, who could use the bragging rights. Definitely a big one right there. SmackDown’s first pick of WWE World Heavyweight Champion Dean Ambrose was also big, yet logical given his standing as a major Champion. WWE Women’s Champion Charlotte being Raw’s next pick put big emphasis on Women’s Wrestling and we’re all for it. Charlotte looked like a big star alone for that. AJ Styles as SmackDown’s next pick was a good catch for them, as he can propel far on the blue brand. The night’s biggest pop came from Finn Balor as Raw’s next pick. That gives Raw must-see ability there. This was then interrupted by John Cena, unpicked at this point and apparently he had a match. – The Cena-Luke Gallows match was an obvious goal to push the six-man tag that’ll pit Cena/Enzo Amore/Big Cass against The Club at Battleground. It was an interesting decision to have the in-ring action continue during the commercial break via a split-screen. The match was ultimately nothing special besides for the finish where Enzo/Cass prevented Styles/Anderson from intervening and after they cleared them from the ring, Cena hit the Attitude Adjustment on Gallows for the win. After tension was teased between Enzo/Cena on Raw, all appeared to be well now. It’s a better story to tell anyway headed into Battleground. – Roman Reigns as Raw’s next draft pick drew many boos for plenty of reasons, but Raw probably needed “star power.” Sigh. Cena as SmackDown’s next pick was an interesting counter to that, plus it’s an indication that he’d be the veteran to help put the younger talent over. Brock Lesnar as Raw’s next pick added to that star power. Randy Orton as SmackDown’s next pick was also interesting, especially considering that Orton and Lesnar were SummerSlam opponents, yet on different shows now. WWE World Tag Team Champions The New Day as Raw’s next pick put the Tag Titles on the flagship show and the split rumors were put to bed here. – Branded as “Champions Vs. Challengers,” the tag match between WWE Intercontinental Champion The Miz/WWE United States Champion Rusev and Darren Young/Zack Ryder was an easy way to push hype upon both Title matches for Battleground, as Ryder would challenge Rusev and Young would challenge Miz. Not much in terms of action, but it was memorable for the fact that the crowd was actually hyped to see Backlund and chanted for him loudly. They then reacted nicely for Young’s adoption of the Crossface Chicken Wing and how he made Miz tap out to it, which gave us the “If he does this at [insert show name here], he’ll become Champion!” line, which is fine in a situation like this. – With a six-man tag in the waits at Battleground between ND and Braun Strowman/Bray Wyatt/Erick Rowan, the Wyatt-Xavier Woods match was more last-minute hype. There was a decent story told, as Woods was hypnotized by Wyatt’s “aura” and before he could fulfill any comeback hopes, Wyatt put him down with Sister Abigail. Was it exciting? Dear no, but not the worst thing either. – The in-ring segment with Kane, Kevin Owens and Sami Zayn was a weird way to push the Owens-Zayn feud at the last minute, basically since we saw Zayn attack Owens during his entrance as we were supposed to see an Owens-Kane match, but what ended up happening was that Zayn/Owens were both Chokeslammed by Kane. – Zayn as Raw’s next pick was almost ironic since they drafted the guy who just got laid out, but it was a good addition for them. Wyatt as SmackDown’s next pick was interesting, as we’d have to see how his push would go. Sasha Banks as Raw’s next pick drew a strong pop and there was hope in that the goal was to make her “one of the show’s top faces.” We actually fully believe. Becky Lynch as SmackDown’s next pick was unique, since she’d get to be one of SmackDown’s lead women and could succeed in that role. Chris Jericho as Raw’s next pick provided that roster a solid heel veteran to work with the many new faces. It was especially different that Foley in particular pushed for him for to be on the show. – Ambrose’s backstage promo was par for the course with his draft selection, as he was pumped to work for Shane/Bryan and emphasized that he looked good in blue, especially since he brought the Title with him to SmackDown. A bit more of the cutesy side of things. – While the booked Raw match gave us ample confusion, the 2-On-1 Handicap match between Banks and Charlotte/Dana Brooke was better handled, as it was essentially the story that the heels took advantage of Banks being on her own. There was a vicious bump spot where Banks hit double knees on the floor on Charlotte before Brooke wiped her out with a vicious clothesline. The finish worked within the stipulation in that Banks would’ve pinned Brooke, but Charlotte in the match as well hurt her chances and she fell prey to Natural Selection for the pinfall loss. This was fine since it set forth speculation for who Banks would bring in at Battleground as her partner. – WWE United States Champion Rusev/Lana as Raw’s next draft pick sent the midcard Title to their show, which wasn’t a bad idea in theory. WWE Intercontinental Champion The Miz/Maryse as SmackDown’s next pick sent the belt to their show, so each show now had a midcard belt. Not bad. Kevin Owens as Raw’s next pick was a solid addition. Baron Corbin as SmackDown’s next pick was good news for Corbin, who could stand out on there. Enzo Amore/Big Cass as Raw’s next pick made sense given their popularity. – The Cesaro-Jericho match was fine for what it was, but some tricky rope spots kept this from a solid effort. We did like the evenness of the bout in that it was back-and-forth to the finish, but it felt inconsequential. You could’ve missed this and not missed out on anything newsworthy. The finish was at least highlight-reel worthy in that Jericho hit a Codebreaker as Cesaro came towards him in a springboard uppercut attempt. – The Natalya-Becky Lynch feud has been less about words and more about attacks and brawls. That’s fine for what it is, so with one show left to push it, we expected nothing less than another brawl and this time, Lynch got to be the initiator as she took down Natalya, who had come down the ramp for a match against Alicia Fox that ultimately never happened. Lynch’s facial expressions were great here though. – Gallows/Anderson as Raw’s next pick confirmed the split of The Club, but the Battleground match was still on and would be the last time we’d see everybody in the same ring at the same time. The biggest pop of the night went to American Alpha as SmackDown’s next pick, as they could actually build the show around them. The Big Show as Raw’s next pick drew mostly negative responses from the crowd. Dolph Ziggler as SmackDown’s next pick was okay for the time, as he could probably get a push from it. Nia Jax as Raw’s next pick gave us some slight shudders because we fear she might be misused on that show. – Rollins’ backstage promo stayed close to his bragging self as he boasted about his relationship with Steph and how he was the first pick out of everybody and was confident that he’d win the Championship later on and also cast doubt upon Roman Reigns’ mind. – Neville as Raw’s next pick got a good pop from the crowd, as his return drew near. Natalya as SmackDown’s next pick probably meant that this feud with Lynch could continue. Cesaro as Raw’s next pick was a good thing since he could shine with their talent. Alberto Del Rio as SmackDown’s next pick was interesting in terms of how he’d fit on the brand. Sheamus as Raw’s next pick gave the brand a decent upper midcard heel. – The WWE World Heavyweight Championship main event between Champion Ambrose and Rollins started with a nice story in that Rollins snuck in some cheap shots before the bell to gain an early advantage. The bout was quite aggressively physical as you’d expect from the two even though their Raw felt better in terms of timing. At least there was no authority figure silliness here and was straight-forward as needed. There could’ve been more suspense and near-falls, but we applaud the clean finish as Ambrose won with the Dirty Deeds to end the show. Posted on August 20, 2016, in WWE and tagged AJ Styles, Battleground, Becky Lynch, Big Cass, Big E, Bob Backlund, Braun Strowman, Bray Wyatt, Byron Saxton, Cesaro, Charlotte, Chris Jericho, Dana Brooke, Daniel Bryan, Darren Young, Dean Ambrose, Enzo Amore, Erick Rowan, Jerry Lawler, John Cena, Kane, Karl Anderson, Kevin Owens, Kofi Kingston, Lana, Luke Gallows, Maryse, Mauro Ranallo, Michael Cole, Mick Foley, Natalya, Rusev, Sami Zayn, Sasha Banks, Seth Rollins, Shane McMahon, Stephanie McMahon, The Miz, WWE Brand Split, Xavier Woods, Zack Ryder. Bookmark the permalink. Leave a comment.